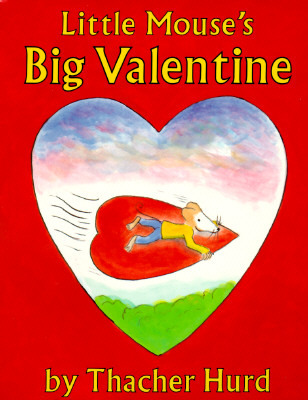 Little Mouse, in an excess of creative enthusiasm, makes a valentine so enormous that no one wants it. Chagrined, he sets out on a journey [to find someone with whom to share his huge red heart]. This beguiling fable is both told and illustrated with disarming simplicity; Hurd's minimal lines are deftly expressive of his hero's subtle feelings, while his rich, watercolor tones make each page a delight. A splendid addition to the Valentine's Day shelf.